It all began with a viewing of a lesbian opera. Cor Flammae co-founders Missy Clarkson, Madeline Hannan-Leith, and Amelia Pitt-Brooke caught the premiere performance of Leslie Uyeda's When the Sun Comes Out at last year's Vancouver Queer Arts Festival. 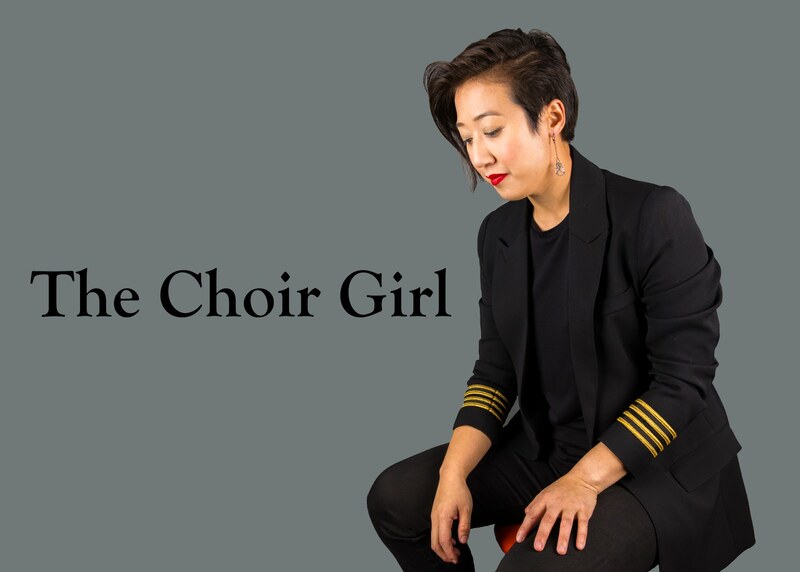 Witnessing COC Ensemble Studio Graduate, Teiya Kasahara, challenge traditional voice casting as a coloratura playing a butch character confirmed that not only was there a sphere for queer artists, but one for those performing at a professional level. At the opera after-party, Clarkson, Hannan-Leith, and Pitt-Brooke were inspired to form a professional-level queer choir, Cor Flammae, meaning "flaming heart." Clarkson began contacting her local networks to do research into queer choral composers. Compiling a list of queer composers was somewhat challenging since Clarkson notes that historically composers are considered "straight until proven not-straight," and at the time rarely announced their sexual orientation. "We always view the past through a lens of the present. The past is an organic being," says Pitt-Brooke, acknowledging the bias that comes with historical interpretation. Much of the confirmation lies in interpreting the meaning behind omission, code words, or gender-neutral references when discussing composer relationships. One such veiled composer is Franz Schubert, who is included on the Cor Flammae programme with historical queer composers such as Samuel Barber, Gian Carlo Menotti, John Cage, Maurice Ravel, and contemporary Vancouver composers such as Michael Park and Catherine Laub. There were three defining points for the repertoire: secular, a cappella, and queer. Interesting programming choices are also present, such as in exploring harmonic similarities of works by Barber and Menotti, who were romantic partners for over 40 years. The final madrigal of The Unicorn,The Gorgon & The Manticore that Cor Flammae will sing was a composition performed at Barber's funeral in 1981. Forming the choir was an expedited process. 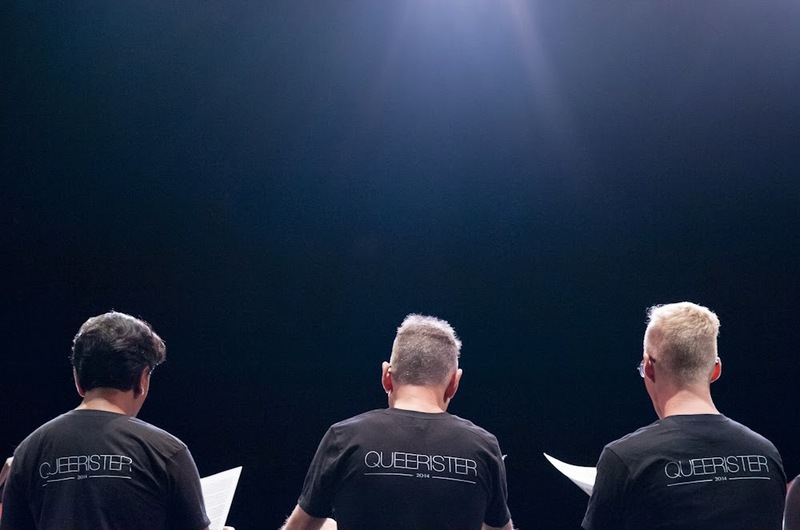 After submitting a proposal to the Queer Arts Festival organizers, the Cor Flammae creative team reached out to their musical networks to audition singers on March 15. 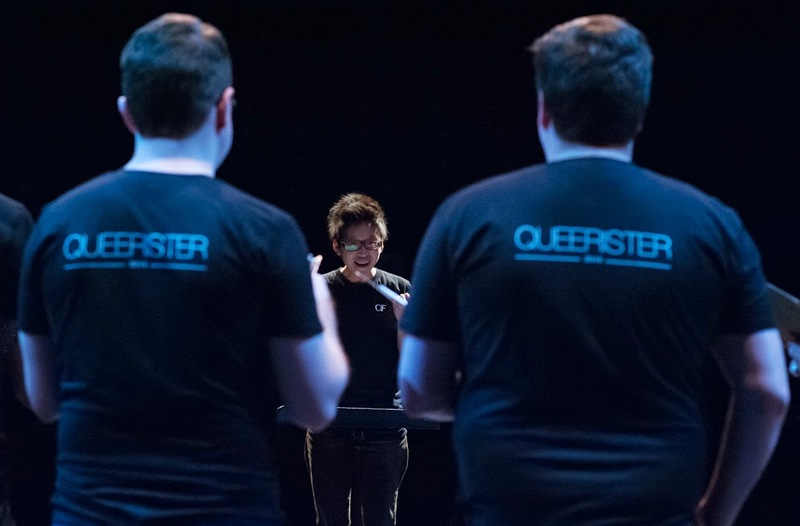 They were also able to secure queer conductors Peggy Hua and Hussein Janmohamed, who had recently completed their conducting Masters at UBC, to lead the group in the chosen repertoire. Accepted choristers, or "queeristers," had to be ready to pose for a professional-level photo shoot on March 31. However, this was no conservative photo shoot. Stylist Adam Dickson orchestrated wardrobe and characters for every queerister after a series of short interviews to reveal individual personas. Clarkson, a hairdresser by trade, called upon her fashion industry networks to assemble a crew of 16 individuals comprised of hairdressers, makeup artists, videographer, photographers and styling assistants to execute this photo shoot: "I wanted it to be a fashion shoot unlike every other choir, having a uniformity of choir garb while showcasing people's personalities and letting that shine through. There is a lot of erasure in the classical music scene and I wanted people to be able to be their fancy selves," she announces. One would think that the difficulty in forming a queer choir would be finding the choristers. Clarkson revealed that the choristers all came out of the woodwork; however, for some choristers, it didn't come without personal struggles to publicly broadcast news of their sexuality. She could think of four choristers who had to officially "come out" as a result of joining the choir. A chorister revealed their bisexuality once their mother saw them on a Cor Flammae poster. In regards to self-perceived queerness, Clarkson states the position of the choir: "The idea is to be quite liquid about it. We don't have anybody in the ensemble that overtly identifies as transgendered at the moment, but we want to break those old gender-binary habits in our language around rehearsals. We are trying to queer the very un-queer space of classical music." 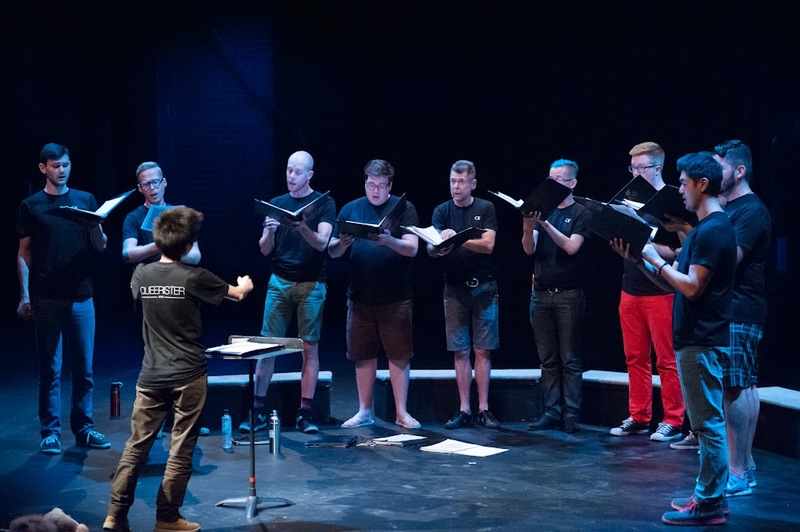 The established presence of queer identity in choral music is noted to be more developed for queer men more so than queer women or gender-variant people. "It even comes down to dress code, sometimes queer women and trans people just don't feel welcomed because of their presentation," states Pitt-Brooke. It is uncertain which other factors are playing a role in the decreased visibility of queer women and the gender-variant in classical music. 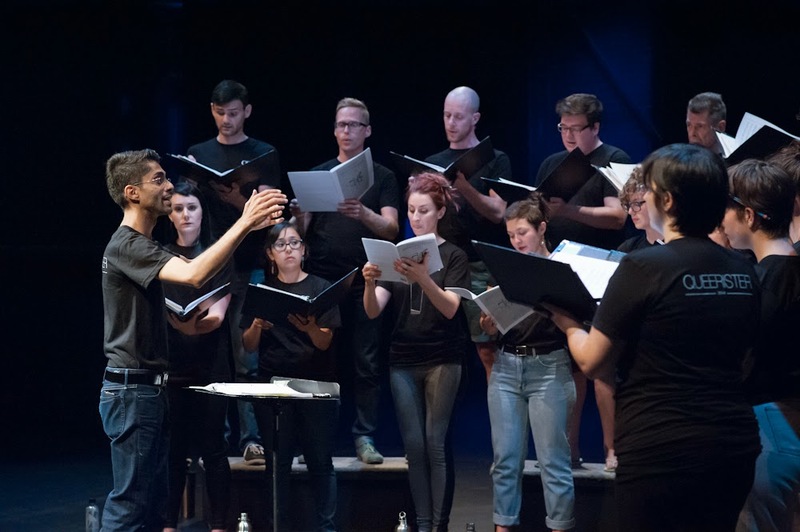 Cor Flammae tenor, Bruce Hoffman, noted a wish to assemble a queer choir 20 years ago but was unable to locate a sufficient number of sopranos and altos to form the group. 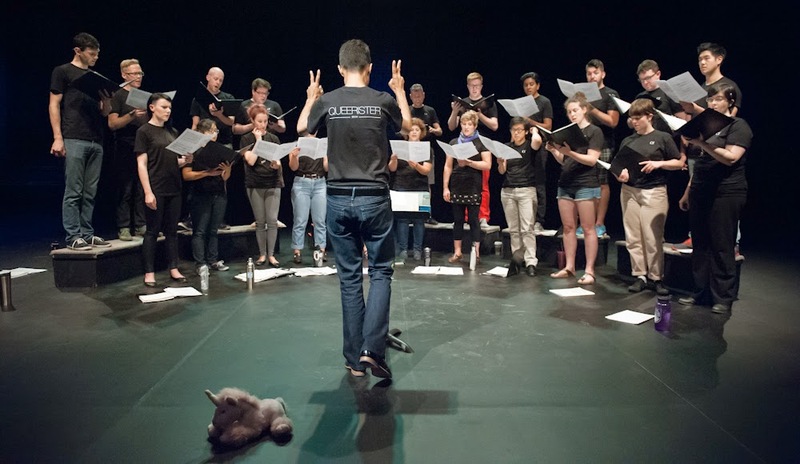 Singing to a sold-out theatre at the opening of the Queer Art's Festival, Cor Flammae is aware that the audience members may have never been to a choral concert before in their lives. "We are happy to bring this choral music to the masses. It is not for the elite. It's for the people... theoretically, as queer artists we speak to people on the fringe. We are trying to create a platform for people to perform in their full selves and listen with in their full selves. We want to create an atmosphere where all people feel invited to classical music," states Clarkson speaking to the goal of the group. Pitt-Brooke adds that "the project is about finding people from different communities and joining in art together." 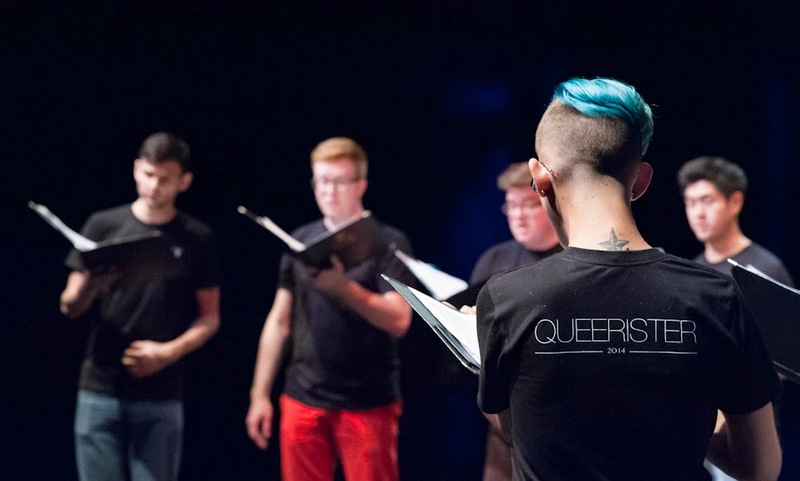 It is significant that Vancouver has a queer population enough to form not only only a queer choir but one that performs repertoire at a professional level; this signals a cultural progression and accepted visibility of all artists regardless of their sexuality or gender identity. Every triumph in this regard creates an environment and open dialogue that supports the work all artists in a community. Kudos, Cor Flammae. Tickets $30 Adults, $15 Youth/Seniors/Underemployed are now SOLD OUT. A very well researched and well written piece that supports diversity in the choral community!